So much has been said about speculators who flipped properties they could ill-afford for fast profits in the heady days of 2007, but what of the other form of property market speculators that aren’t normally recognised as speculators – those that hold off their home purchases indefinitely in the hopes of a property market crash? Is it wise to hold off getting a permanent roof over ones head in the vague hopes of buying in “cheap”? Teh Hooi Ling’s article “Property bubble? Read the numbers.” in this weekend’s Business Times shared some compelling statistics that further convince me it’s a risky gamble to be taking on your own home. For one, based on one-year interbank rates less official inflation figures, Ms Teh found that the real interest rate today is minus 4.6 per cent. What does this mean for a bubble hunter? If you’re renting a home while waiting to buy into the property market, you’ll typically be paying about 3-4 per cent of the market value of the property in annual rent. Rental cost, combined with inflation eating away at your savings, would work out to be about 7.6-8.6 per cent. Does it really make sense to take on an absolutely certain 7-plus per cent drop in value on your cash assets each year, just to hold out for a potential property market crash of which you can confirm neither the date nor the magnitude of the drop? Instead of grappling with pure postulation and telling yourself that you’re going to buy in “when the property market crashes”, have a long hard look at your portofolio as it stands today, and how much you want/need to have in 20-30 years time. Then do an honest assessment of whether you can realistically achieve that target at your current projected earnings and investment returns. For us, we have a target passive income that we intend to achieve through a mixture of rent, dividends and interest. In order to reach our target passive income, we can’t rely on simply saving up to acquire income-yielding assets along the way, we need to snowball our capital through strategic trades, liquidating certain investments to crystalise capital gains once yields dip and more attractive investment vehicles present themselves. Another fast-track strategy that some self-styled gurus propose is to take out equity loans on your existing properties to finance down payments for your next property purchase, but personally I find this a little too aggressive to stomach at present. It can work well in the right situations and circumstances, but can be catastrophic if and when things start to unwind. More on this another time. If you still carry hopes of a property market crash, by all means carry on if you can afford to stay out of the property market for the next two years. As Ms Teh pointed out in her article, interest rates would have to rise to 4.5% per annum before real estate investors with an 80 per cent loan would start suffering negative cash flow based on current rental yields. (That is, for their monthly loan installments to start exceeding their monthly rental income.) For a 60 per cent financed asset (which is more likely the norm for investment properties now), the threshold interest rate would be about 5.6% per annum. I certainly don’t see interest rates spiking to that level in the near future. To an extend, I agree to your point of interest rate not going up. But, you have failed to cover the rental yield dipping due to large influx of new homes. I see today’s scenario as two sets of people are buying homes. 1. People who do not want to pay such high rentals are moving to buy their own home. 2. People who are buying to rent out their property as rentals are attractive. Both these people are working to ensure that the rental is brought down. If rental drops, people 2 would no longer be interested in buying and will shift to selling (or renting out lower). People 1 would no longer need housing as they already have one. Moreover, the government is helping in cooling this property market by releasing more land for pvt. housing, 25k+25k+20K HDB BTO in 3 years. Reducing the PR numbers and imposing ABSD, SSD and MOP. All point to a single direction, making people avoid investing in housing for the sake of investment. 1. people believed in ever increasing property prices. 2. They were able to buy houses with very little / no down payment. In Singapore, both are very much there. If you are a married couple and both are earning, you can buy a million dollar EC for as little as 50K down payment and 0 monthly installment. CPF will cover the rest. If this situation continues, then we can see prices fall…. remember, cheaper loan translates to cheaper rental. 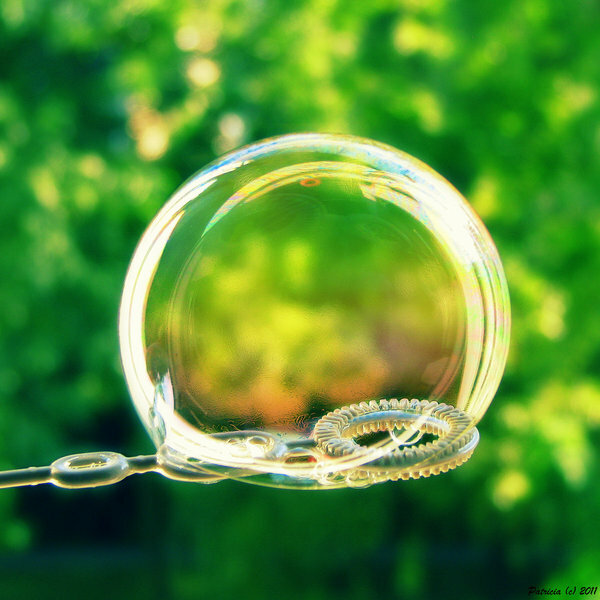 This bubble is waiting to explode. I hope you can clarify this angle as well. Hi Ashiff, thanks for reading. Please allow me to give my 2 cents worth. To a large extent, the perceived large increase of new BTO homes is due to pent up demand from the last few years when supply was unable to meet demand. As such, I personally do not think that the increased supply will lead to a big impact on rentals. If we think about it, a lot of those buying these new BTOs are probably newly-weds or engaged couples. Assuming that money is relatively tight for this group, most of them would probably be staying with their parents while waiting for their flat to be ready rather than spending money on rent. I don’t have figures, but I would imagine that the number of people renting while waiting for their flat is relatively small. While the circumstances are very similar in the US before the crash and Singapore now, I believe that the situation is worlds apart. Firstly, Singaporeans, being Asians, have a habit of being savers and dislike being over-leveraged. Most Singaporeans I know are unwilling to take out equity loans on their home equity. In contrast, the Americans were banking on increasing home equity to borrow more and live beyond their means. As such, over time, Singaporeans in general have built up a good buffer against dips in home prices and are more able to hold their property through any such dips. Secondly, as you very rightly mentioned, CPF will cover the rest. Putting myself in the shoes of such a couple, given that I can service the loan using my CPF, I definitely would not want to sell my home, even more so if prices has fallen! Thirdly, in the case of investment property, we have to pay at least 10% in cash for the down payment and can only take 60% in loans if we have an outstanding mortgage loan. As an illustration, for a $1 mil condo, at say 1.50% pa interest rate, 35-year loan for 60% of the principal, the total amount of cash you need to come out with for monthly payments is about $2.8k, including mortgage payment, maintenance, property tax and income tax on rental income. 2.8% rental yield isn’t too difficult to come by, I think. I’m not saying that there won’t be a dip in prices. After all, no one can predict such things with any certainty of timing and magnitude. However, with the government policies in place, I believe that Singaporeans are in good stead to weather any storm. And if we are able to weather the storm, by definition, there is no bubble. Thanks for reading. It was a deliberate move on my part to ignore rental pricing shifts, as it bears limited consequence. For low quantum rentals of would take a drop of 40-60% in rent for most owners to start having to pay for monthly loan installments out of their own pockets. Even then, it would take a great deal more than that to get people panic-selling. My personal view as an investor is this: if I don’t invest my money, I need to work harder at saving my money anyway. Thus I would prefer the short-term pain of negative cashflow to stay invested than leave my money sitting idle – I’d take it as a form of forced-savings. In the meantime, I’m enjoying a good positive cashflow, and accumulating free cash to cover for stormier times. I’m afraid I’m going to have to disagree with your concept of just two types of buyers in the Singapore property market. Perhaps my view is skewed due to the type of clientele that I interact with, but many of the clients I work with are not escaping high rentals and can afford to keep more than one home in Singapore vacant and ready for their own personal purposes, thus falling outside of your dichotomy. Am also going to disagree with you on drawing similarities between US and Singapore. If you have the opportunity, do take a look at Ms Teh’s article in last weekend’s Business Times. Year upon year of rising housing prices does not necessarily equate to a housing bubble. Ms Teh compared Singapore’s real GDP growth to our inflation-adjusted housing index and found that our housing index has merely kept pace with, or is in fact slightly behind our rate of GDP growth. This is in stark contrast to the US, where housing prices were not supported by a real growth in GDP. Taking your example of a married couple buying a $1,000,000 home. A 30-year loan of $800,000 would be less than $2,800/mth based on 1.5%p.a. interest (high by current standards). In order to get their loan approved, they would need to have a take-home income of at least $7,000/month. I dare say that if they’ve accumulated $150,000 in their CPF ordinary account for part of the downpayment, they should also have sufficient cash reserves to tide them through difficult times. Hardly the same as the US scenario where people were spending money they didn’t have, on things that held no long-term value. I hope this has helped clarify somewhat! I love all your posts and I absolutely agree with you about contextualizing the issue at hand in Singapore’s context. A lot of posts I have read so far are based on US as a case study. Thanks, Diva79, for following the blog! Even though real estate prices in Singapore has increased quite rapidly over a relatively short period of time, I believe that this is where the similarity with the Japan housing bubble ends. The Japan housing bubble came as a result of monetary easing measures from 1985 – 1987, including monetary expansion and credit easing. As a result, there was an overheated economy with uncontrolled GDP growth, leading to the asset price bubble. The US would probably do well to take note of this historical event and start tightening their own policies in a timely manner. In contrast, I would hardly call Singapore’s economy overheated. The GDP growth has also been engineered for a soft landing. Credit available for property has also been tightened from the many rounds of cooling measures. Money supply increases has also been prudently controlled close to the GDP growth rate. Further, the trigger point for any bubble popping is the inability to hold the asset. According to MAS, loan-to-value of outstanding loans stood at 47% as of 3Q13. This excludes property that are fully paid up. I would guesstimate that the LTV of the entire property market is no more than 40%. This is also not expected to go up anytime soon since new mortgages will also be controlled by LTV limits and TDSR provisions. In all, I’d say that the property market is in pretty good shape. Property transactions are expected to be low going forward, but this is less of an issue of strength of market as it is the replacement cost of selling a property.